I have been given a lovely ladies antique watch pin. 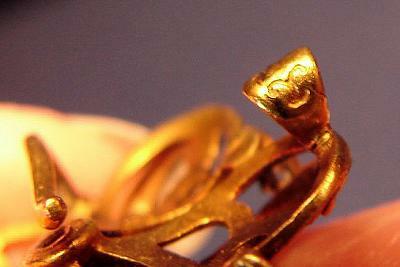 It is marked 14K and has a Hallmark on the "C" clasp that looks like a double fishing hook. I will attach a photos. Can you tell me the maker and how old it is?